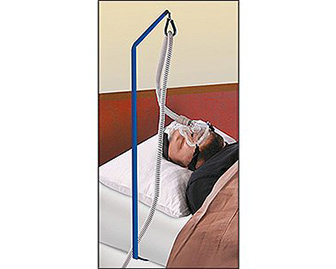 A stand that holds the CPAP hose while one sleeps and minimizes the risk of it tangling. Great for people that have sleep apnea and tend to toss and turn in their sleep. Insert the base underneath the mattress to secure it in place.